French bulldog is a dog that normally eats well, although usually has several eating disorders. That is why we address this issue, because many times it is not the fault of the dog, but the owner, that with the excuse of “poor dog” we use food as a tool to reward, when we may be creating an irreversible eating disorder. It is best to NOT make any of this failures (even when your Frenchie makes little eyes). 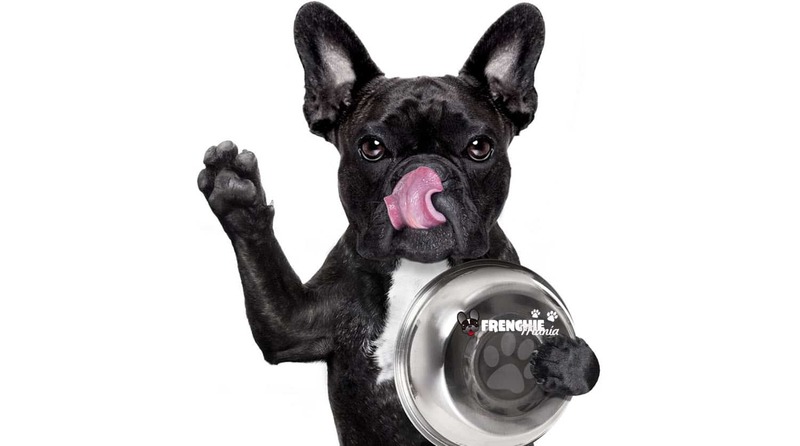 Resorting to a balanced and protein and vitamins riched feeding should be the duty of every owner of a french bulldog. Although it can help, from time to time, provide some extra daily diet that I think is very important that certain deficiencies in the way of feeding our furry discussed. Let’s see what faults are and see if you’re making any of them. 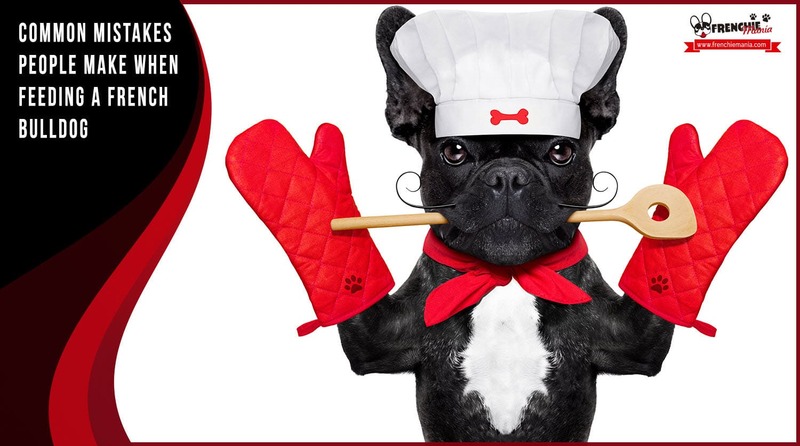 You may well want to look at your french bulldog during meals to ensure they eat. This habit is not recommended because they can sense your presence as a threat (may think you want to take the food away) and stop eating or become aggressive. It is essential to feed them in a quiet and lonely place away from any source that might distract them from the main action: eating. It is not advisable to give your food scraps to your french bulldog, first because it is not a balanced food and can cause weight gain (the master usually underestimate the amount of food provided), and in second place, because the French bulldog is altered if a family member feeds with their hand, since it needs you to control access to food. Therefore, we must avoid giving them the leftovers. If for some reason you had to do it, you should put them in a bowl and give them food once finished, subtracting from the usual daily ration of feed of your french bulldog. On the other side is a bad habit because it will start to ask you or your guests for food whenever you are on the table, and that some of your guests may annoy. If you make your frenchie to get used to be feed by hand, will eat less than normal and tend to an eating disorder, because they will always wait for you to give them food. What if one day you are not there to give it ?. The only exception is when the french bulldog is sick, that sometimes have no appetite and you will certainly give then motivates to eat, however we recommend you to consult your veterinarian. If you feed your dog a balance meal, and adecuate concéntrate and complete for proper feeding, the dog will stop eating when feeling satisfied. Adding tastiest ingredients (like oil, ham, tuna, etc) can make them continue eating when not hungry, which will cause weight gain. However, when the french bulldog is sick if we mix it with chicken or ham to whet the appetite, but do not make it as usual, because if not they will always want it. 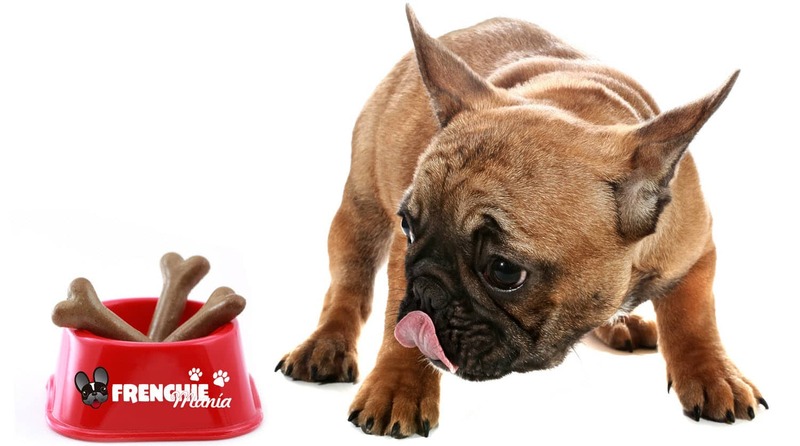 The withdrawal of the feeder while eating your french bulldog is not a hierarchical sign: submissive dogs eat after the ruling, but they do not bother them while they do it. If your French bulldog is annoyed while eating what you will make is to stress them out and they will defend their food. To accustom them for you to be able to approach the feeder while eating, positively focus them (add more food, for example), but do not bother him too often. Of course, warn your dog in your presence every time you go to approach (a matter of education). Using food to interact with the dog is a mistake that can end in obesity. Your french bulldog always appreciate the social contact: touch them, play with them with a toy or teach them simple commands to strengthen your relationship with them. Offering a special, or heavier than usual food diet, you can alter the digestive flora of your dog (risk of diarrhea). It is better to teach a new game or a long walk as a reward. 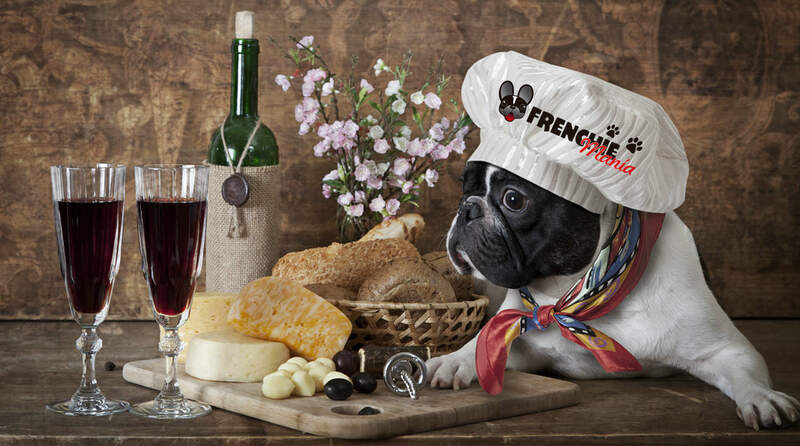 A french bulldog well fed is usually not hungry. 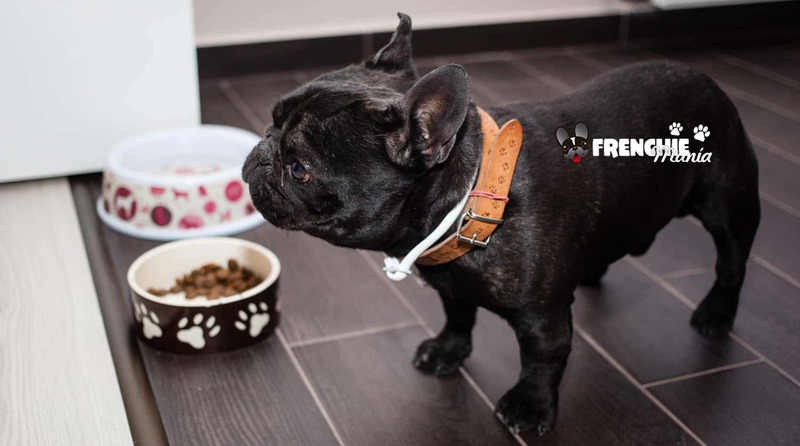 More than food, what your frenchie needs is contact with you and with other dogs. Devote the time needed to meet that need. Do not think that giving countless awards will be doing well. The awards are for the indicated times and especially not to reward them for nothing. 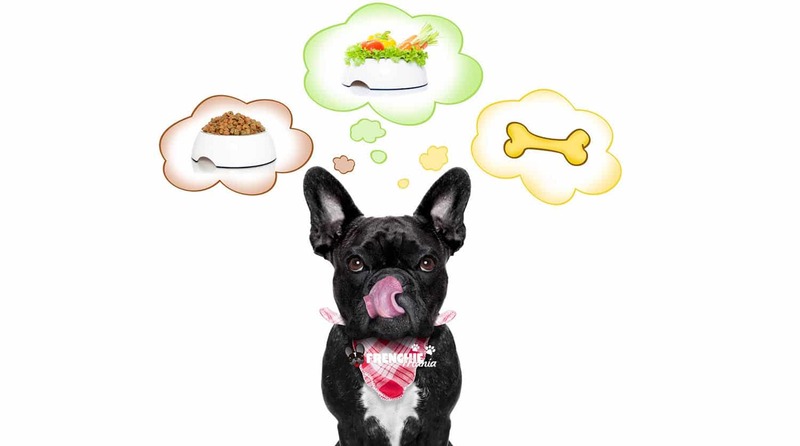 The amounts indicated in packages of dog food are indicative and must adapt to the needs of each french bulldog and their level of physical activity. If your dog is happy and maintain a stable weight, it means that the amount is correct. It is important to differentiate when our french bulldog is chubby, when they have muscle, when either their weight is too thin, and start being critical of ourselves, often behind an obese dog is a master who does not know or does not want to know. There are studies that say that only 3 out of 10 dog owners with some kind of overweight recognize it. We leave this infographic that accurately summarizes what we discussed. 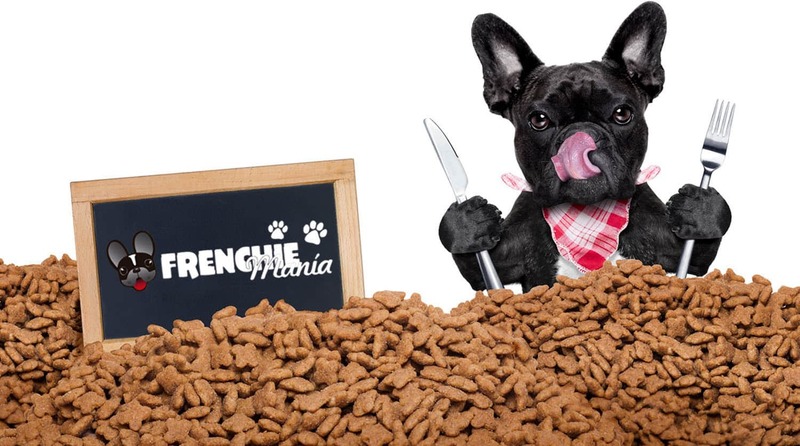 We hope you enjoyed this article and, above all, that you use it to properly feed your french bulldog, as it is one of the important issues to consider in this race, if not careful long-term feeding can lead to health issues. Your turn! 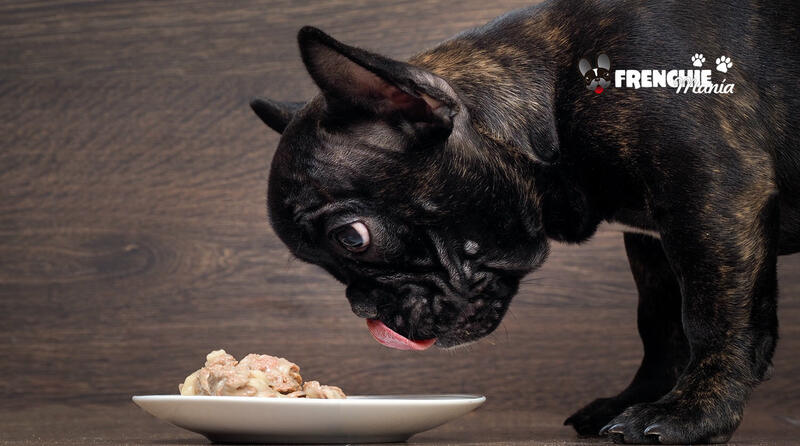 We want to know your experience and tell us how your french Bulldog eats and if you make any of these mistakes with your pet. Share it with other users so that together we can help you. Share this content with friends and family. Soy cofundador de la Frenchiemania. Como auténtico loco del bulldog francés y de todo lo que le rodea, soy dueño de 2 enormes y fuertotes machos (Jazz y Mambo) y 1 hembra mimosa y consentida (Duna). Además, soy responsable de diseñar, desarrollar, optimizar y ejecutar el camino digital de emprendedores y pymes. Te invito a quedarte por aquí y ser parte de nuestra comunidad. Thank you for the comment. Keep calm, maybe she would eat when she is hungry. You can try another brand mixing it first with the actual one. Is better to give her food instead of treats. When they are little they eat more quickly then they start eating more slowly or just when they are hungry. You shoul give her the food in three times a day, those gr but in three times and see if she eat then. Mixing their food with our food is not always the best idea because then they just want the food with that delicious ingredient. Hope she starts eating normaly :) Cheers! We have a four month frenchie and he eats one cup 3 times a day and is very happy and healthy. We also have 10 year old lab and 11 year old King Charles cave lire and make sure they all eat separately and this works very well. Thank u fot you comment. We are sure you have a happy and sweet doggy family! Yes thats right it is better that they eat separately so there isn´t any dispute between them. Nice day!